Two weeks ago my mom died. She was diagnosed with a incurable form of bone cancer 15 months ago and was aggressively doing chemotherapy until it stopped working. She started getting worse at the beginning of July and then last week she spent 3 days in the hospital, with her condition rapidly declining until she passed. It feels so weird to talk about my mom in the past tense. It feels impossible that it’s been weeks without her. My mom and I had a rocky relationship for a huge chunk of my life, but the past few years we were able to mend most of the pain and have a relationship. I will always be grateful that I got these years with my mom. I will always be grateful that I got to spend her last days in the hospital holding her hand. The last thing she was able to say to me before she stopped responding to anything was that she loved me. Grief is heavy. It has settled over me like a blanket. It sometimes feels like the intensity of not having my mom anymore is too much, like my heart might stop at any second because there is no way one person can deal with this much pain and hurt and sadness. I miss my mom. I think about her constantly. I wish I could talk to her again, to ask her all the things about herself I never got to know. My mom can never tell me. Other people can tell me stories or what they know but it’s not the same as my mom telling me. Two weeks feels so long. It doesn’t feel real that I will never talk to my mom again, or hear her laugh. My kids might not remember their grandma. She won’t be able to see them grow up or have sleepovers with the girls. She will never text me or call me or a million other things that can hit me out of nowhere. I’m 29 and I don’t have my mom anymore. My sister Stephanie is 27 and Ciara is 20. That feels so young to not have a mom. Jen said it best. My mom had the biggest heart, even when she wasn’t at her best. 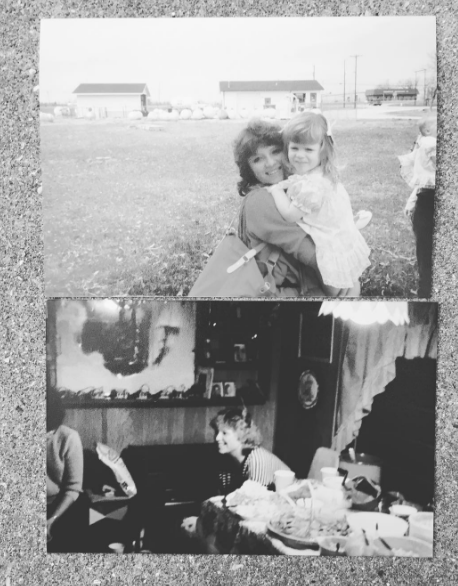 She always had good intentions and I have never doubted for a second that my mom loved me fiercely. I never thought about losing my mom or what they would mean. I assumed it would happen when I was old and my kids were grown but that’s not how things worked out. Everyone asks how you are doing, and I’m doing ok. I’m taking it one day at a time. I think that is the best I can hope for right now, when the grief feels so heavy. I debated sharing this on the blog, but it felt inauthentic to not acknowledge this huge, life changing event. Jen is always gracious with my blog planning and we’ve taken an even longer break because I just could not write a post without first sharing this about my mom. I love having a blog with my best friend and I have so many ideas and plans that I can’t wait to share, but I needed time. 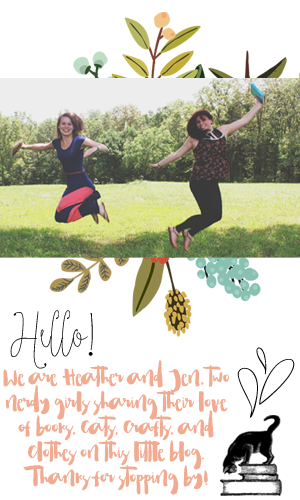 So we are still here and still have all kinds of bookish things we want to share. I'm ready to get back to blogging now. My heart breaks for you, Heather. It is literally one of my worst dreams to loose my mom. I'm so, so sorry you've had to go through this at such a young age. We should all be old ladies before we have to experience such a large loss. Grief can be suffocating, but it's something you have to feel and go through. You'll always love and miss your mom and she'll always be with you. Best wishes in navigating this difficult time.